Sustaining an injury on the job is a scary situation. If a doctor says that you cannot work, you may not know where to turn. Like most people in Connecticut and across the U.S., you need to work to make ends meet. 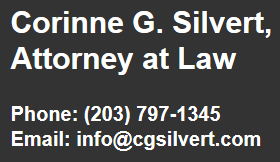 I am Corinne G. Silvert, an experienced workers' compensation attorney in Danbury, Connecticut. 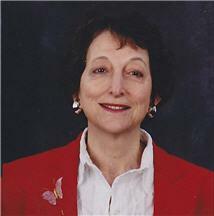 As your attorney, I will work for you to help you secure the benefits you are entitled to. If your employer and its insurance company are preventing you from getting your workers' compensation benefits, I can help you through the appeal process. As my client, you will receive personal, responsive service. I make keeping in touch with my clients a priority, meaning when you call my office, you will always be speaking with the person who is representing you. This list is by no means exhaustive. Workplace accidents can happen in many jobs that you might not think about. Injuries to the back, hands and neck, along with repetitive motion injuries, can happen to anyone. It is important to have an attorney on your side who has the experience in recovering workers' compensation benefits and successfully negotiating settlements. Contact my office at (203) 797-1345 today to schedule your free initial consultation for workers' compensation claimants. If you need to appeal a denial of workers' compensation benefits, I will fight for you and protect your rights.